we had a fairly productive first day here, at the Endocode offices in Berlin. everyone is pretty excited about working on the overall experience for developers on the GNOME platform. at first, we decided what to tackle in the next three days, and drafted a rough schedule. the hackfest then broke down into two main groups: the first tackled GObject models for the benefit of GTK+ widgets acting as views; the second worked on the developer documentation available on developer.gnome.org. I decided to stay on the sidelines for the day, and worked on a small utility library that I’m going to use in the development of GSK, the GTK+ scene graph API that will replace Clutter in the near future; I’m going to do a proper blog post on both things later this week. I’ve also worked a bit on my old nemesis, GProperty. I have really high hopes that after three years of back and forth we’re going to finally land it in GLib, and let people have a better, easier, and more efficient way to define and use GObject properties. In the evening we went to the Berlin GNOME beers along with the local GNOME community; it’s been a great evening, and we met both familiar faces and new ones. 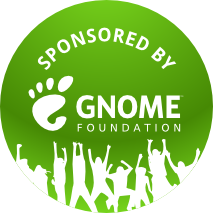 I’d like to thank Endocode for kindly giving us access to their office in order to host the hackfest, as well as the GNOME Foundation for sponsoring travel attendance of many talented members of the GNOME community.